Planning to spend 4 days in Stockholm? 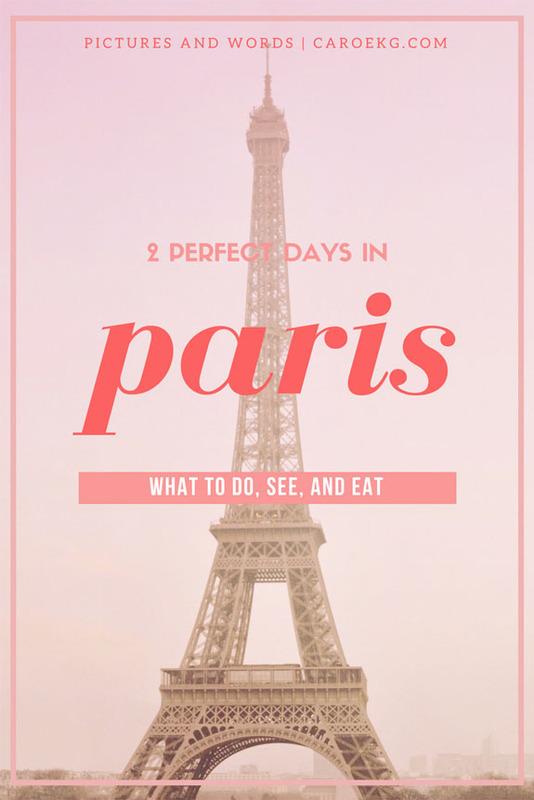 Read on for all the things you should do, see, and eat! 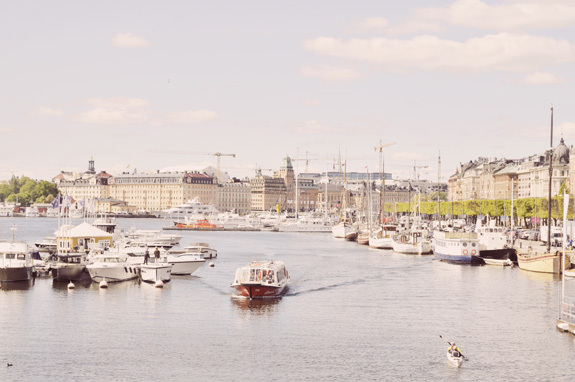 Confession: I had never really considered going to Stockholm, and it had never really been on my radar until recently. 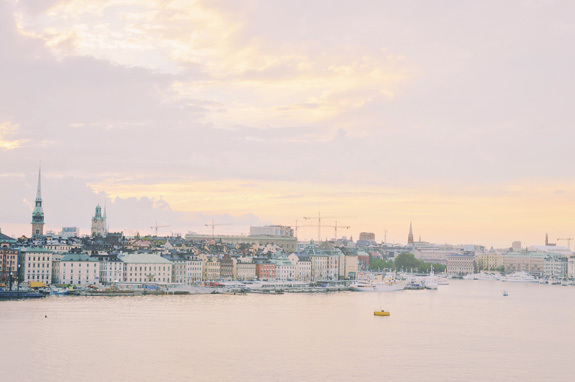 However, after consistently hearing great things about the city, and after consistently seeing amazing airfare deals, I just couldn't resist - I booked a flight to Stockholm and off I went. Best decision ever - Stockholm exceeded my expectations in every single way, from the charming fairytale buildings, the gorgeous waterfront views, the delicious food scene (hellooooo meatballs and cardamom buns), the beautiful, minimalistic Scandinavian design, the friendly people - even the weather exceeded my expectations. With plenty of cheap flights from the United States, I highly recommend it as your next destination! 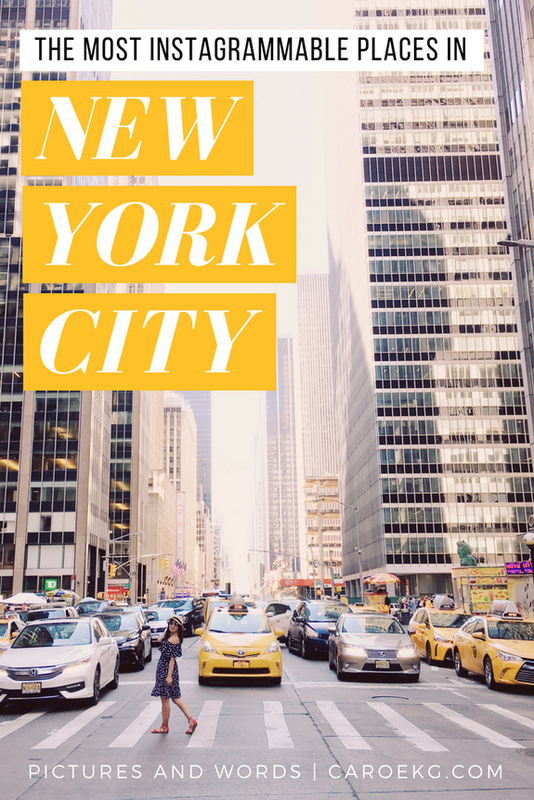 I spent 4 days there, and felt that it was the perfect amount of time to explore and get a feel for the city. 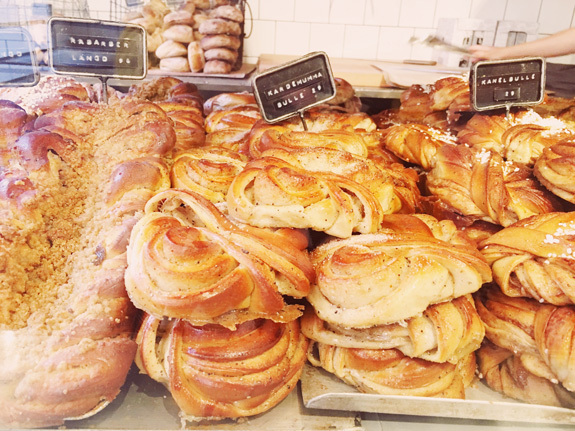 Keep on reading my picks of what you should do, see, and eat in 4 days in Stockholm! Sweden is famous for its cold winters with its short daylight hours, and its long summer days. 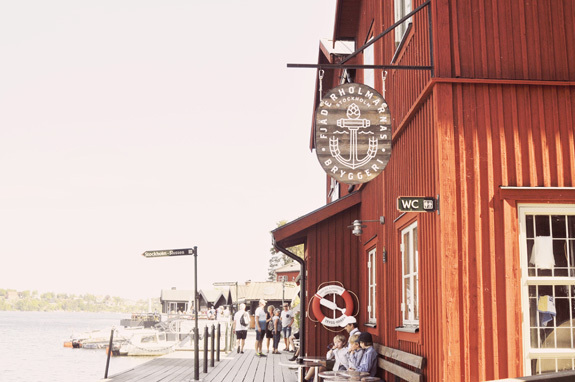 The Swedes love their summer, and Stockholm comes alive with many events and festivals in the summer months. I went in late May and it was the perfect time to go - I got lucky and got sunny 80 degree days, although I was the weather can be schizo sometimes. In my opinion, summer is the best time to go, with sunny days and mild temperatures. You also can't go wrong with those extra hours of daylight - during my 4 days in Stockholm in late May, sunrise was at 3:45 am and sunset was at 9:40 pm. I loved the extra daylight, as I felt that it gave me extra time to explore and wander around the city thought. Be warned, though - that daylight had me up before 5am every morning, especially because I was also jet lagged! Being from California, I have no idea what a real winter is and don't think I would be able to handle a winter in Stockholm. Some attractions are closed in the winter. The days are also short - in January the sun doesn't rise until almost 9am, and sets before 3pm. However, the city transforms into a magical winter wonderland under the snow and there are many holiday events and markets throughout the city - a unique way to see Stockholm! I have seen many photos of Stockholm in the winter all over Instagram, and it definitely looks like a magical, fairy tale winter wonderland. Stockholm is mainly served by Arlanda International Airport, which is the main international airport and located 45 km (~28 miles) north of city center. This is the main hub for many international airlines, connecting it to many major cities around the world. The easiest and fastest way to get from Arlanda to Stockholm city center is the Arlanda Express train, which will have you to the T-Centralen train station in just 20 minutes. Trains run every 10-15 minutes between 5am and midnight. However, it is most definitely not the cheapest way - a one way ticket will set you back 220 SEK (~$26 USD). I just sucked it up and paid for it because it is definitely the most convenient way to get to city center and well, I'm pretty much lazy AF. However, if you have a Eurail pass the Arlanda Express is covered. Otherwise, tickets can be purchased online, or at a self-service kiosk at the airport. If you are looking to save some money (Stockholm isn't known for being cheap, after all), you have a couple options. One is bus service offered by Flygbussarna, which leave from outside terminal 5 at the airport, and drops you off at the Cityterminalen bus station. Buses leave every 10-15 minutes, and a one-way fare is 99 SEK. You can purchase tickets online or at a kiosk at the bus stop. You can also take a SL Commuter train, which leaves from the Arlanda Central Station in Sky City at the airport. Trains depart twice an hour, and service takes about 45 minutes into central Stockholm. Stockholm is also served by Bromma airport, which offers services from primarily domestic airlines, along with a handful of European carriers. This is the closest airport to the city and sits 8km from central Stockholm. Another option is to fly into Skavsta Airport, which is a hub for Ryanair and other low-cost carriers - so of course it is also the furthest airport, located 100km from the city. There is also train service connecting Stockholm to other major cities in Sweden and Scandinavia. Trains depart from T-Centralen station. Stockholm is also a major port for many cruise lines and ferries. These boats dock in Sodermalm. Stockholm is fairly small, and many of the main tourist attractions in the city center are easy to get around to on foot. Stockholm also has an extensive and efficient subway system, as well as buses, and water taxis. You can buy a transit card, or purchase one with a Stockholm pass, and these options are all included with it. A 24 hour travel card is 120 SEK, and a 72 hour travel card is 240 SEK - you must also purchase a refillable access card , which costs 20 SEK. A single-ride ticket costs 31-62 SEK, depending on how you purchase the ticket. The cheapest fares are to pay using credits ("reskassa") that are loaded onto a refillable access card - as mentioned above, the card itself costs 20 SEK. You must load at least 100 SEK onto a card. You can also pay via app, ticket machine, ticket booth, or agent - tickets purchased by one of these methods cost 44 SEK. The most expensive way to purchase your fare is to buy from a conductor on a train - this costs 62 SEK. A ticket is valid for 75 minutes, and includes return fare and transfers that occur during this time. More on fares here. You can also take taxis or Uber, but these are pricey and not recommended. Sweden's official currency is the Swedish Krona. I did not take out any cash in my 4 days in Stockholm. Credit cards are accepted everywhere in Stockholm - in fact, some businesses are plastic only and don't accept cash. The only exception to this is using a public restroom, for which you will need kroner coins. You can always use the restroom at a cafe or restaurant that you are a customer of, or a museum that you go to. However, there were a few times when I really had to go while I was wandering around aimlessly, and had a couple of close calls! While Swedish is the official language in Stockholm, I didn't know any Swedish (except "hej" for hello, which is pronounced "hey," which is like saying hello in America!) and I got around just fine. In fact, everyone that I encountered in my 4 days in Stockholm spoke English - and almost perfect English at that. Stockholm uses 230 V Type F plugs. If coming from the United States, you will need an adapter. This is the adapter I use in all my travels. I highly recommend getting a Stockholm Pass - all the activities and attractions I recommend below under "Do & See" are included in this pass. It is a great value, especially if you plan to see a lot and do a lot of activities on your trip (as I did). I usually find similar city passes/cards to be very limiting in the sense that there are only a few included attractions that I am interested in, while the rest are lame. However, with the Stockholm Pass, I found that almost everything you could want to do is included in the pass. The one exception to this was the Abba Museum (there is a discount included for this), which I ran out of time to go to anyway. There is a 1, 2, 3, and 5 day Stockholm pass (645 SEK, 845 SEK, 1045 SEK, 1345 SEK). For my 4 days in Stockholm, I opted to purchase the 3 day pass. I thought this was a good amount of time to get in all the highlights - I'm not sure if it would have been worth it if I got the 1 or 5 day options, as 1 day is too short to really get use out of the pass, and 5 days would have been too much time, and I would have run out of activities. I think the 2-day pass would have been worth it as well. The pass is valid for 24, 48, 72, and 120 consecutive hours after activation. You can purchase the pass online, and then pick up and activate the pass at one of the designated kiosks throughout the city. See collection locations here. You can also have the pass shipped to you for a nominal fee. You can also get a transit pass add-on - this costs the same as you were to buy it as-is directly from SL, the Stockholm transit agency, but I did it for the convenience of not having to worry about it. The travel card add-option is available as 24 and 72 hour (125 SEK and 250 SEK) options. Get your Stockholm Pass here. There is no shortage of accommodation options in Stockholm, from fancy luxury hotels, unique boutique hotels, designer hostels, Airbnbs (book here to receive $20 off your stay), and everything in between. There are many great areas that you can stay in throughout the city, and here is some guidance on where to stay in Stockholm. Of course, staying in Central Stockholm will put you near all the action and is the most convenient for getting around. However, the main part of Stockholm is relatively compact, and the city has such an easy-to-use and efficient metro system that this isn't absolutely essential. 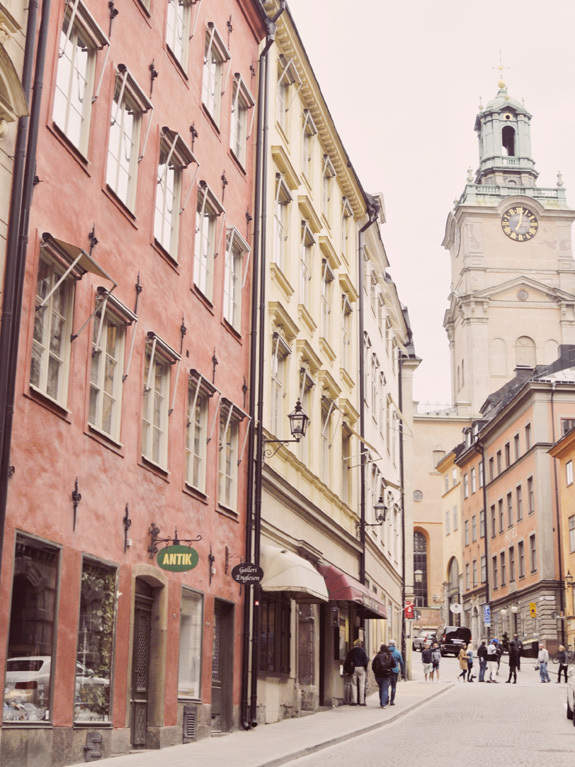 Staying in Gamla Stan, which is still Stockholms's epicenter, will make it super easy to get around to the most popular attractions in the city. 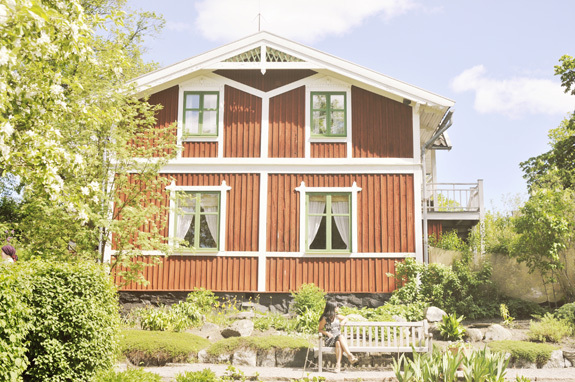 Staying in one of the surrounding islands (such as Norrmalm, Sodermalm, and Kungsholmen) is also a great option. 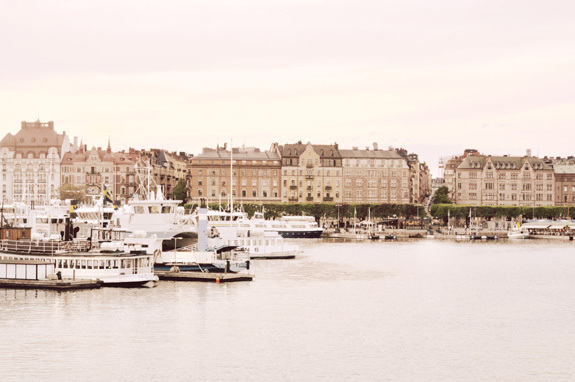 If you want a taste of luxury, many of the city's high-end hotels are located in Ostermalm. Or, if you want some peace and quiet, staying in Djugarden may be the option for you. Wanting to try something new and to meet new people, I opted to stay in the Generator Hostel, especially as I had heard amazing things about this popular chain of boutique hostels. It really made me rethink what comes to mind when you hear "hostel," with its award-winning decor and hipster-cool vibe. They also curate fun social events. The hostel is clean, hip, and modern - I enjoyed my stay there, even though I was always out and about and never really spent much time in the hostel and totally failed at the "meet new people" part. It is relatively centrally located, and about a 10 minute walk from the T-Centralen station. Gamla Stan is about a 30 minute walk, which I didn't mind. For those times I was feeling tired or to lazy to walk, I just jumped on the subway. 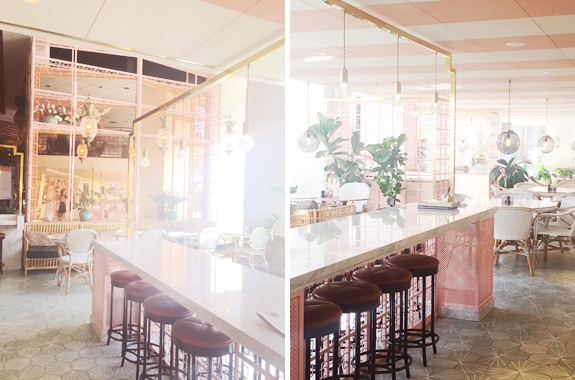 I had coffee and breakfast at Gretas, which is the restaurant at the Haymarket by Scandic hotel and absolutely fell in love with the super chic, colorful decor of the place. Their bar is also a fest for the eyes, and I would have loved to come back there for a cocktail (but could never find enough time!). Would definitely love to stay there on a future trip! 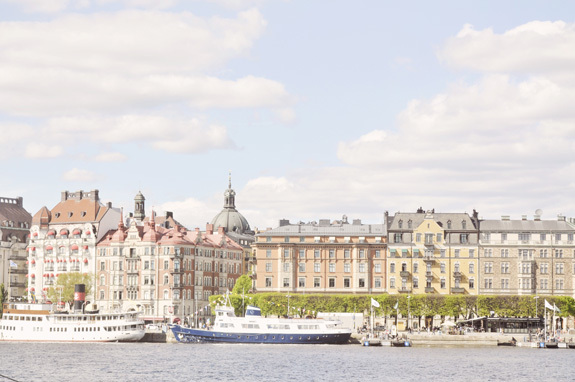 See more Stockholm hotel options here. Gamla Stan is the old town of Stockholm, and home of the first Viking settlement where Stockholm was founded in 1252. It is one of the best preserved medieval city centers in Europe, and is also a popular tourist spot in Stockholm, with an array of restaurants, cafes, bars, and museums. I came here so many times during my 4 days in Stockholm, and every time I was there, there seemed to be a new corner of the neighborhood just waiting to be explored. Wander through its lively cobblestone streets and admire the charming fairytale-like architecture, grab a coffee or a bite to eat here. 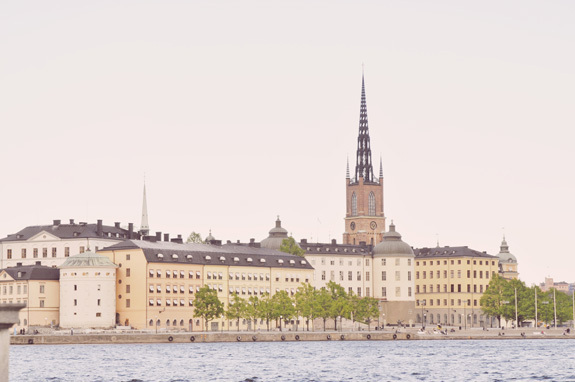 There are lots of things to do in Stockholm's Old Town. Sit in the Stortorget, which used to be one of the largest city squares in Europe, admire the colorful gingerbread-like buildings, and people watch. At over 600 rooms, the Royal Palace of Stockholm is one of the largest such palaces in Europe. It also contains 5 museums. After the original Royal Palace burned down in a fire, the current structure was built in the 18th century in an Italian Baroque style. 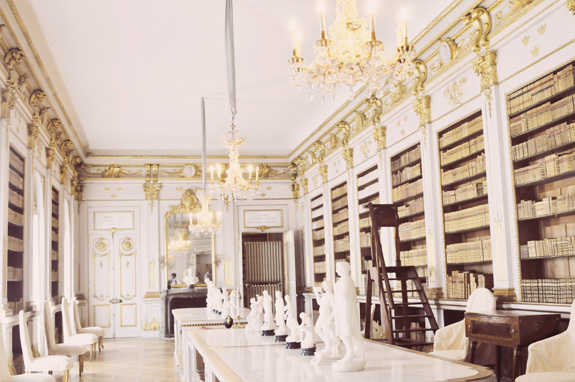 Although the royal family of Sweden does not live in the Royal Palace, their offices are still here. There is a changing of guards parade that happens daily - I had not been planning to see this, but happened to be walking nearby when it happened and it was quite the production and definitely worth watching! You can read more about the changing of the guards here. Skansen is the world's oldest open-air museum, and will give you a unique insight into daily Swedish life and culture throughout the years. It is designed to be "Sweden in miniature," and features villages, nature, commerce, and industry from all over the country. Over 150 farms and houses from all over Sweden were deconstructed and transported here in order to provide an insight into how Swedes once lived and worked. Many of the staff are dressed in traditional Swedish period costumes, and you can see them showcasing handicrafts, music, and foods. Various festivals are held here to celebrate Swedish traditions. There is also a Nordic zoo, housing many of the animals that can be found in the country. Stockholm is a city built on 14 islands that are connected by more than 50 bridges, and seeing it from water gives you a unique perspective of the city. 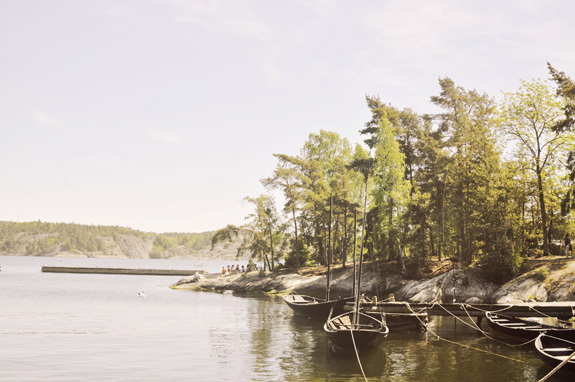 There are numerous boat tours available from Stromma, and several of these are included with the Stockholm pass. It is a great way to see the city while relaxing and resting your feet. During my 4 days in Stockholm, I did the Royal Canal Tour, which takes you through the most famous waterside spots and through Djugarden, as well as the Under the Bridges Tour, which takes you under the bridges and through the locks that connect the freshwater Lake Malaren with the Baltic Sea. There is also an Archipelago Tour that takes you through Stockholm's unique archipelago, which is the second largest in the Baltic Sea. If you are in Stockholm in the winter, there is even a Winter Tour that allows you to see the city on ice! The Stockholm City Hall is one of the city's most well-known buildings. 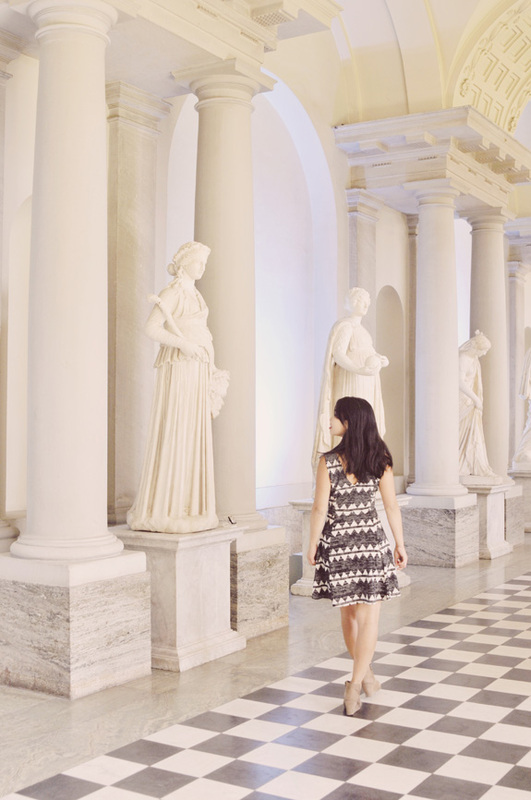 It is famous for its art and grand ceremonial halls, and is the venue of the annual Nobel Prize banquet. You will need to sign up for a tour to see the inside of the building, however, even seeing the exterior of the building (built with more than 8 million bricks) is worth a visit. There are also amazing views of Gamla Stan from here. Fotografiska calls itself an international meeting center for contemporary photography. There are 4 large exhibitions and about 20 smaller exhibitions held here each year. They are thought-provoking, sometimes controversial, and ambitious. The works of both world-renowned photographers (such as Annie Leibovitz) and new, up-and-coming photographers are showcased here. Definitely a unique museum and worth a visit! The best part of Fotografiska is that it is open until 1am, so you can make a visit when most other attractions have closed for the day. 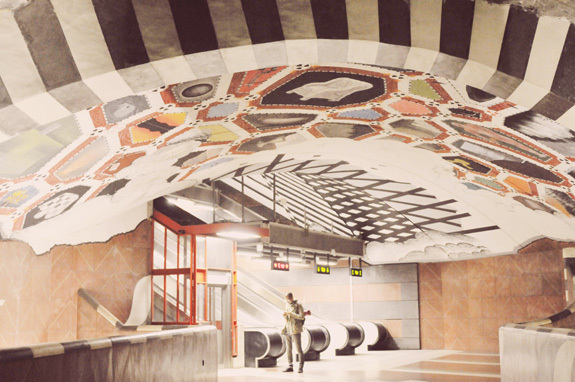 At over 100km long, Stockholm's subway system is said to be the longest art exhibit in the world. This was one of the things that I was most excited about during my 4 days in Stockholm, and it did not disappoint! Ninety of the 100 stations in the system have been adorned in some way, with some of the stations being truly spectacular installations. I broke up my station visits to a few a day, but you can easily set aside an afternoon to tour all the notable stations in one trip and do a Stockholm subway art tour. Some of my favorites are T-Centralen, Stadion, Kungstragarden, and Solna Centrum. Stockholm's archipelago is the second largest in the Baltic Sea and consists of some 30,000 islands, rocks, and skerries. Only 20 minutes outside of Stockholm, Fjaderholma is the closest island to the city and is considered to be the gateway of the archipelago. It is perfect for a quick half day trip for escaping the busy city. Ferry service is offered through Stromma (included in Stockholm Pass) or from Waxholmsbolaget. You can take a walk around the island, sit on the rocks and gaze out at the sea and passing boats, stop into one of the local artisan shops, sit down for a nice lunch, and have a beer at the brewery. Some recommended restaurants are Rokoriet and Fjaderholmarnas Krog. The latter serves a Christmas smorgasbord during the holiday season, which would be a festive reason to make a stop onto the island in the winter. 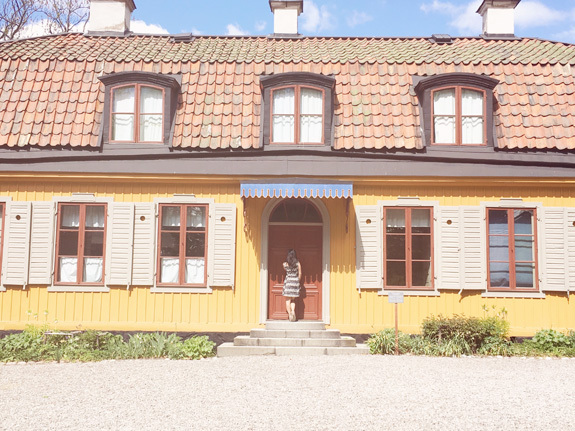 Check this post out for more on how to plan a day trip to Fjaderholmarna. 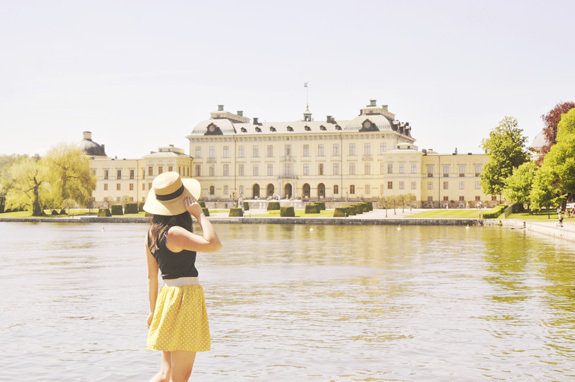 Sitting just outside Stockholm, Drottningholm Palace is the official residence of the king and queen of Sweden. It is inspired by 16th and 17th century French architecture (like that of Versailles), and is one of 3 UNESCO world heritage sites in Sweden. The gorgeous grounds also feature a park, a Baroque garden, a theater, and a Chinese Pavilion. The best way to get there is to take a boat tour there, which takes you on a leisurely cruise down Lake Malaren (this is also included in the Stockholm Pass). However, you can also drive and there are a number of public transportation options to get you there. Disclaimer: I missed the ferry back from Fjaderholmarna, and ran out of time to go here during my 4 days in Stockholm - I have heard that it is a really interesting museum, and I definitely want to go on a future trip! The Vasa warship sank on its maiden voyage in 1628, and was salvaged out of the ocean over 300 years later. The preserved and restored warship is displayed in all its glory here, which is the most visited museum in Scandinavia. Stockholm has an acclaimed international food scene, with delicious restaurants serving any kind of cuisine you can think of. However, I was most excited about two things: Swedish meatballs and fika, which accounted for most of what I ate during my 4 days in Stockholm. 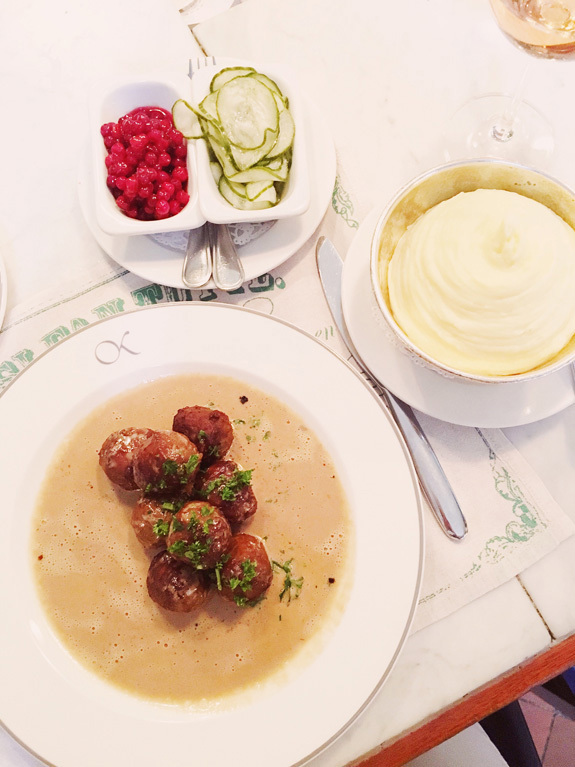 Here are my picks for meatball restaurants and fika spots! Located in the opera house, Bakfickan is the more casual restaurant of the upscale Operakällaren, and serves a lot of classic Scandinavian dishes. This was narrowly my favorite. What made it my favorite? The meatballs were delicious, but OH MY GOD - the mashed potatoes were heavenly. Perfectly creamy and buttery, and I wanted to fall asleep on a cloud of them. I ended up going back for lunch later in the week, except this time I ordered the Gravlax (smoked salmon) - also amazing as well. Pelikan is consistently regarded as one of the best restaurants in Stockholm, and is known for its classic Swedish cuisine and has been a local favorite for more than a century. I would say that the meatballs were as good as Bakfickan, but the potatoes won out. They also serve a variety of other cuisines, and I wanted to go back to try one of them, but never made it back. Another plus is that they are open until 1am. This is a super popular spot for meatballs, and well, the word "meatballs" is in its name. The cool part about Meatballs for the People is that you can choose what kind of meatballs you want - traditional beef, boar, reindeer, even veggie and vegan options - so you can taste a unique spin on this classic! Vete-Katten serves a variety of cakes, pastries, buns, and coffee, as well as lunch and an afternoon tea service. I loved the little cakes here - my favorite was the marzipan Princess cake. You are coming here for the buns! Cinnamon buns are traditional favorites, and kardemummabullar, or cardamom roll, is a twist on that. I fell in love with the cardamom buns here, and I had to have multiples in a day. They are something I've dreamt about every day since getting back to the states. Have you been to Stockholm? What are your favorite spots there? 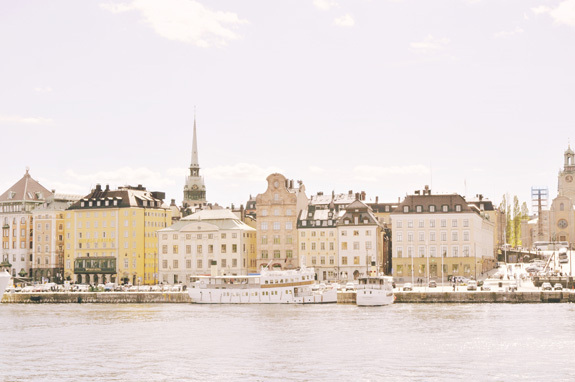 Want to read more about Stockholm? 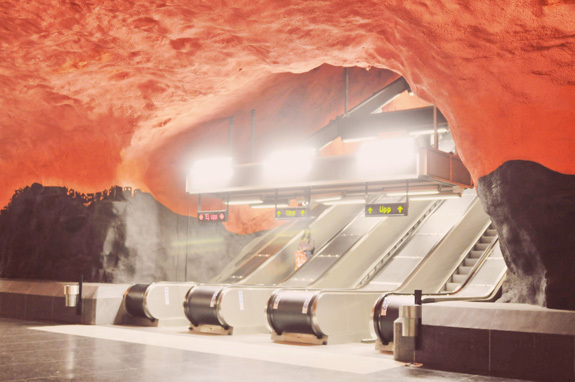 Check out the Best Stockholm Instagram Spots and a Stockholm Subway Art Tour! You had a really comprehensive 4 days there! You've been able to see basically all that the city has to offer. Glad the weather also treated you weel. It's nice to hear that you have liked it, Stockholm is beautiful! I have been seeing some really good flight deals to Stockholm lately too. I'll have to keep this post handy in case we decide to go. Four days sounds like the perfect amount of time to explore here. Stockholm has only made it to my bucket list until recently as well! Your artcile is so well put together and I agree about hostel, it's not as crappy as people think it is, it's actually a great cheaper option ! 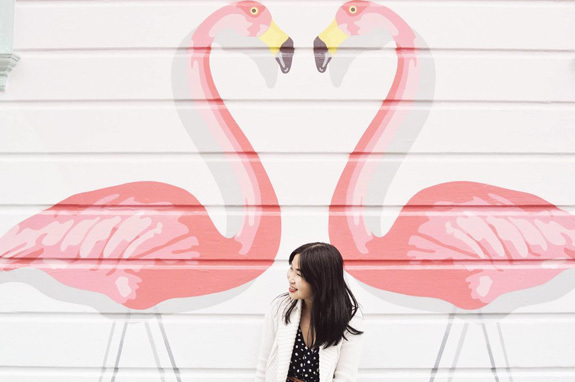 This is a really comprehensive post and your pictures are beautiful! what a gorgeous post. You certainly squeezed a lot into your trip. 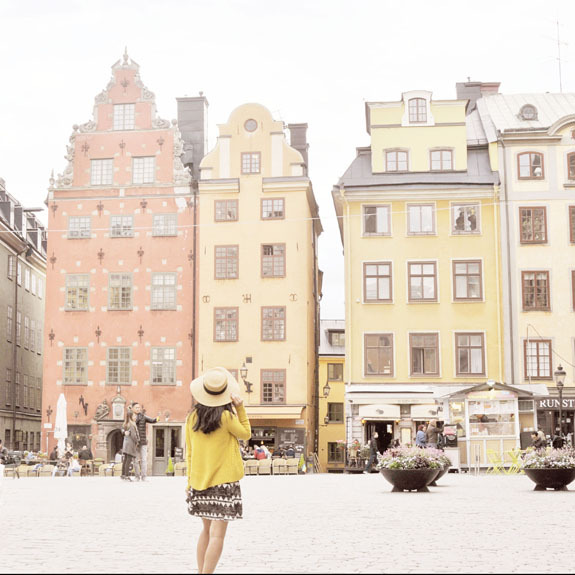 Have saved this post - some good tips for when I visit Stockholm next year! This is such a good guide! I have been secretly wanting to settle in Sweden since the research said that it had the highest happiness index. And who wouldn't if they had a 6 hour weekday! 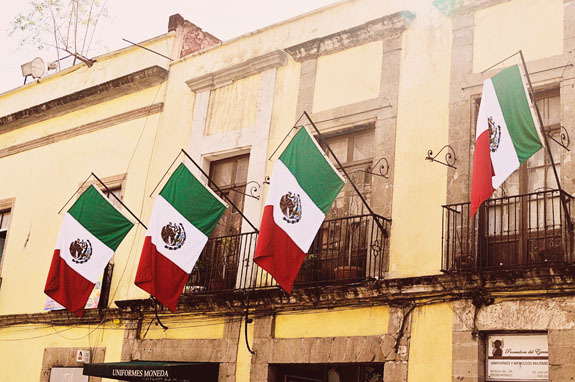 I cannot wait to visit. Also the Fotografiska museum looks super interesting. 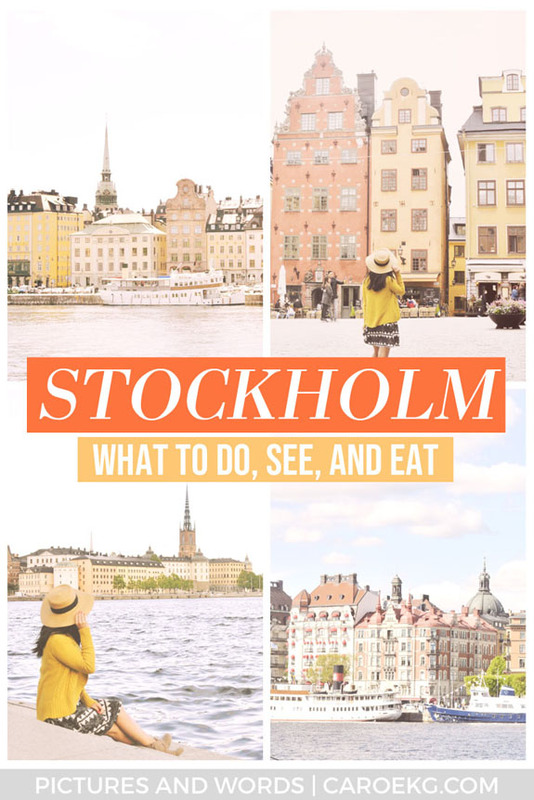 such an excellent stockholm guide!! and your pictures, as always, are amaaaazing. making me want to go back right now!! It really is a beautiful, amazing city! Take me back!! Yessss you definitely should go! And 4 days was a perfect amount of time - so plenty of time to explore at a leisurely pace, but not so much time that I got bored! Thank you so much! 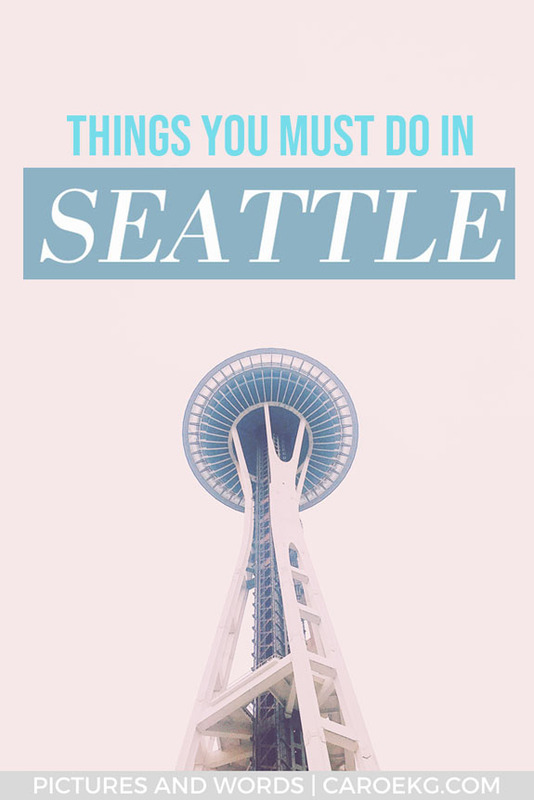 And you should definitely go, it's an amazing city! Thank you so much! So excited for you to go, it is such an amazing city! You should definitely go! And May was a perfect time to go. -definitely get the Stockholm pass, so convenient and definitely got my money's worth! It was definitely an amazing trip! You should definitely visit! Thanks so much! Yup, everywhere there seemed so happy! And Fortografiska was definitely an interesting museum and definitely worth a visit. Thanks so much! And yeah, take me back!!! Wow, you really did your due diligence and saw a lot in just 4 days. Some interesting places to see but I do like the various architecture in the city. All the Nordic countries are high on my to-visit list so I'm sure I'll be in Sweden someday and will keep your suggestions in mind. Stockholm looks amazing from your eyes! How many do you suggest us to stay there? any I would love to visit it in a winters time, is it good then? Stockholm looks absolutely stunning! Your photos make it look magical! Thanks for sharing! This is awesome - I'm literally about to head over to Stockholm for four days, so I will definitely be doing some of your itinerary! Thanks for sharing your post! Thanks for sharing! These photos are so dreamy and if I remember match your style on other posts! Good job! I’d love to get over there and explore! That's a great article! I've been there twice, but haven't done and try half as many things as you. I will keep this article and look at it again when I decide to visit Stockholm again! I've only been to Stockholm once but barely did any of these! It is such a lovely city, I can't wait to go back. I did make it to the Vasa Museum when I was there, it is probably one of my favorite museums, so next time you're in Stockholm, definitely check it out! Gorgeous photographs! I’ve always wanted to visit and this post made me want to go even more. Looks like a dream destination. Great tips! 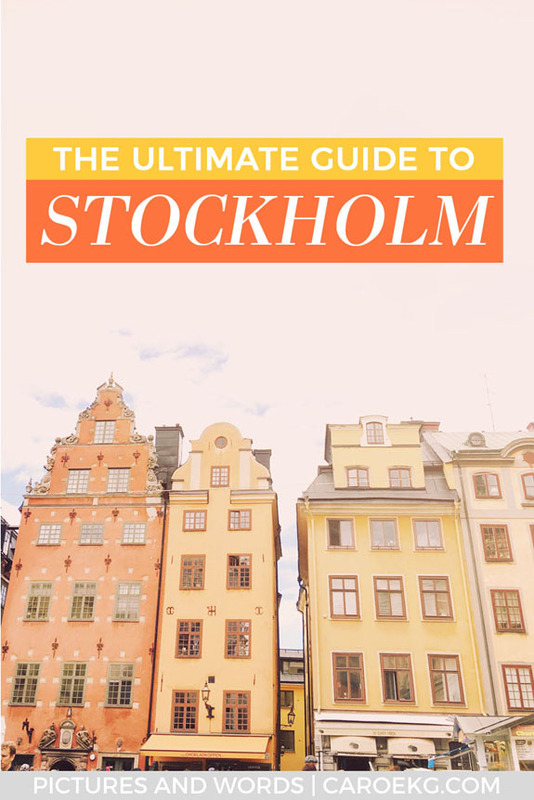 Stockholm has been on my list for a while, I'll definitely keep this guide handy! Great blog and very comprehensive thanks! Can you believe that I'm from Norway but i've NEVER been to Stockholm... let alone Sweden? Not quite sure what I'm doing but I must go! 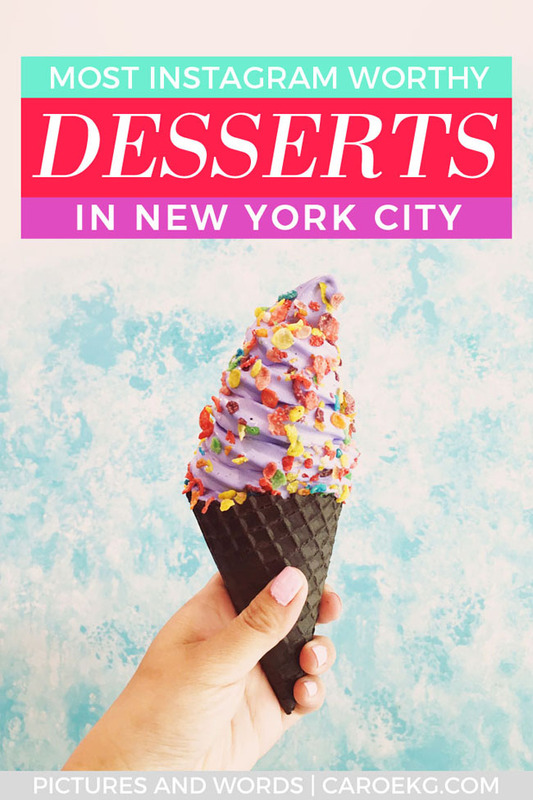 Your photos are stunning and this is a really great guide on the city. Fika is the way of life. I do it every time I see my family or even catching up with friends. More places should do this! Soo want to visit Stockholm - thanks for all the inspiration. Great guide! What an amazing guide to a Stockholm! This is fantastic and so detailed! I’m 100% saving this! Thank you for writing this! Beautiful photos too! Love how you discussed the City pass. Am always wondering whether they are worth it or not. Loved your guide to Stockholm, I read it before my recent trip and just read it again and have to agree with you on so many things!! I spent a week there with my husband & son and did most of the same things you did as well as others you didn’t. For those interested in history, and specifically Viking history I’d recommend the History Museum (free), Vikingliv, and the day trip to Birka (on the Pass). We did go to the Vasa Museum and it was definitely worth the time! The Haymarket hotel is also a wonderful place to stay. Their breakfast has a plethora of choices and is included! Even though we were there for a week we didn’t get to do/see everything we wanted to so I foresee another trip there in the future! !